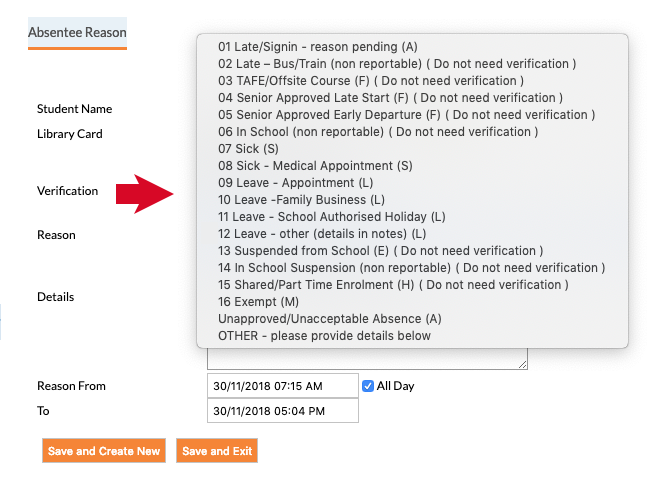 When a parent explains an absence on the portal, it doesn’t become official until it is allocated to a correct reason. This needs to be done manually. With the exception of sick. If the parent selects sick as a reason it will automatically be accepted. 2. Select a date range. Try not to make it more than 2 weeks as it will be slow to gather the information. 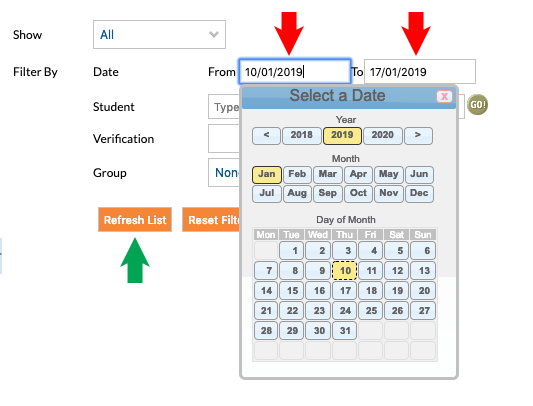 Click on “Refresh List” once you’ve entered a date range. 3. We need to sort the absences so the ones we are looking for are at the top. Click on the word “Reason” as shown below. N.b. We are also looking for partial absence notes from parents. This is found by looking for ones with the reason “01 Late/Signin – reason pending (A)” and a “Reason” in Description. 4. If there are any portal absences to process they will stand out by having the reason ” OTHER – please provide details below“. 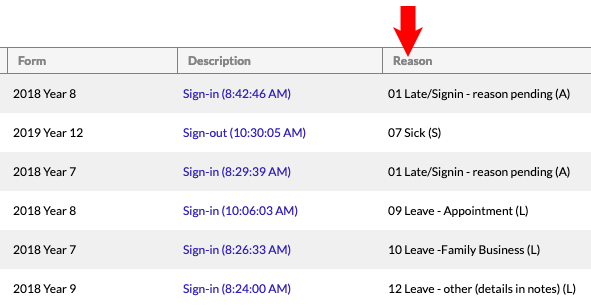 Click on “Reason” as shown in the arrow below. 5. 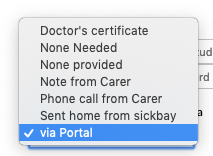 In the “Verification” select “via Portal” – This will help identify if this was a parent on the portal entering the explanation or one of the staff. 7. Click Save and Exit when finished.